Dr. Michael Soltysiak, an experienced optometrist and his wife, Deb, have been seeing to their customers' optical needs for over 20 years in the Wyoming Valley of Northeastern Pa, in Luzerne. 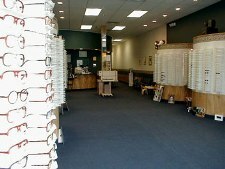 We offer comprehensive eye exams and we are a full service optical center with an on-site lab where we do 95% of our work, and over 1500 frames in stock. Additionally, we honor most major insurance plans, including local union insurances.